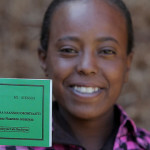 The purpose of cognitive interviewing is to systematically identify and analyze sources of response error in surveys, and to use that information to improve the quality and accuracy of survey instruments. 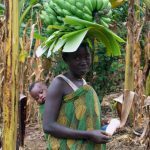 The new paper describes the cognitive interviews undertaken in Bangladesh and Uganda in 2014 as part of the second round of pilots intended to refine the original version of the Women’s Empowerment in Agricultural Index (WEAI). 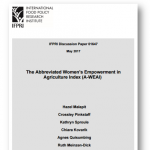 The Women’s Empowerment in Agriculture Index (WEAI), launched in 2012, has been widely used to measure and understand women’s empowerment and inclusion in the agricultural sector. 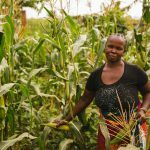 This webinar will provide an overview of the tool and take stock of what we’re learning so far on women’s empowerment in agriculture based on results from surveys, ongoing pilot studies, and other analyses using WEAI data.